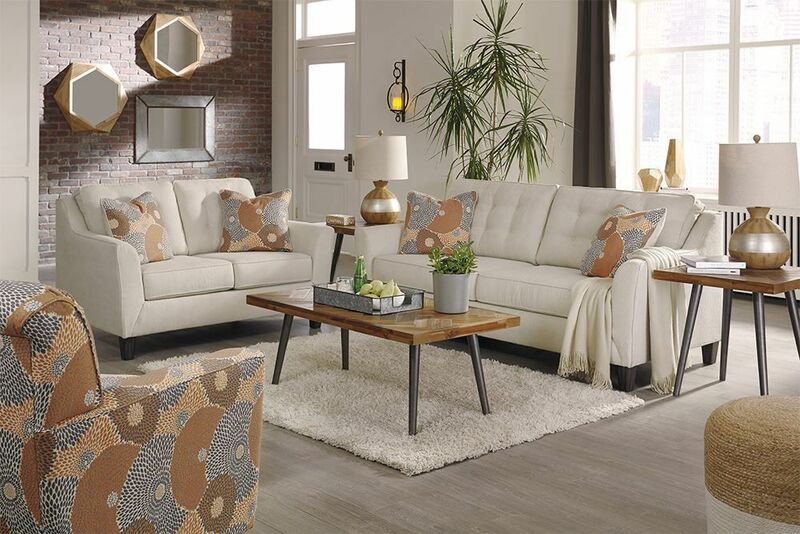 The modern style of the Benissa Alabaster Loveseat is sure to brighten up any living room. 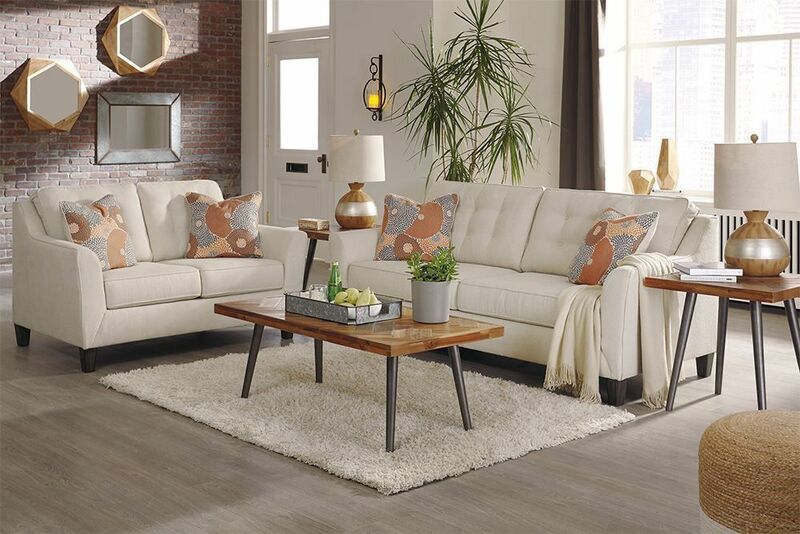 The sleek white color of this piece will bring light to any space that it is placed in. 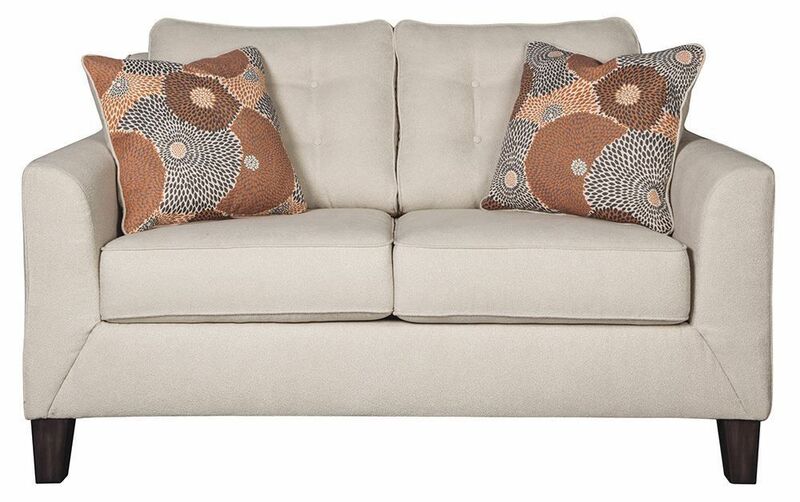 The button-tufted back cushions provide a chic touch while still maintaining maximum comfort for all of your guests. 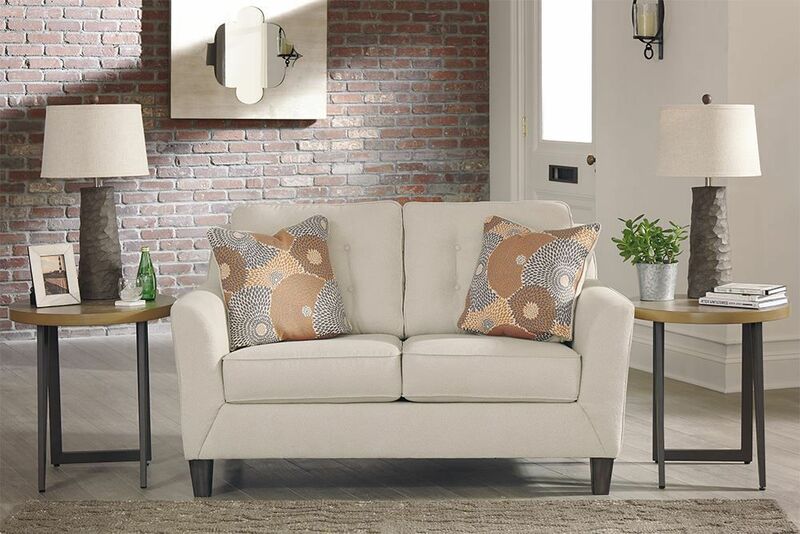 Dark wood block feet finish off this stunning seat. 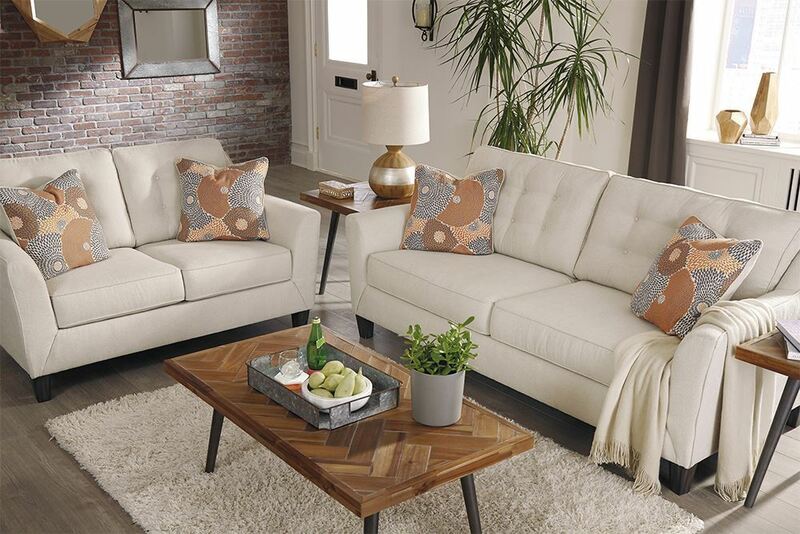 Bring the Benissa Alabaster Loveseat home today! 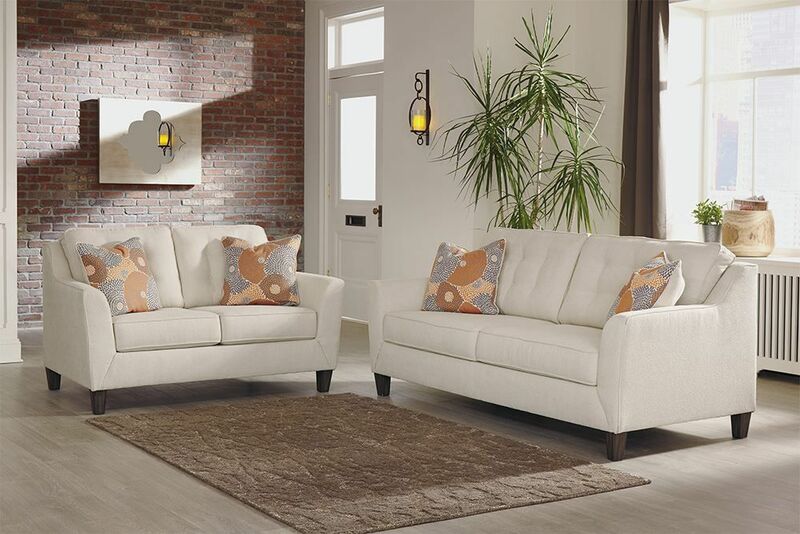 The modern style of the Benissa Alabaster Loveseat will brighten up any room.